Organize your refrigerator and take control of your health. Almost everything you need to eat a healthy diet resides in your fridge. While your pantry contains cheese poofs, chocolate-glazed donuts, and sugar-coated cereals, your fridge sports fresh fruit and veggies. Your fridge could be a springboard of health, if you organize it to prioritize health. To give your spring diet a fighting chance, ensure your refrigerator has everything you need to make nutritious foods. So many families waste a lot of food because it spoils before they are able to eat it. This is especially true with refrigerated items, as these foods are naturally perishable. Make it a priority to clean out your refrigerator weekly, throwing out any items that have expired. While you’re in there, identify items soon to spoil. Try to incorporate these items into your menu. You’ll save money and throw out less food each week by prioritizing fresh items instead of throwing them away. Make the healthy, fresh stuff most visible. If you open up your fridge to see mostly takeout boxes and leftovers, it’s easy to forget about the healthy pomegranates, apples, and berries that you’ve purchased. Try to make healthy items the most visible when you open your refrigerator. Place these items in glass bowls on shelves instead of down in drawers. Take them out of their produce bags and display them so they will look enticing. Consider reversing the order of your fridge. 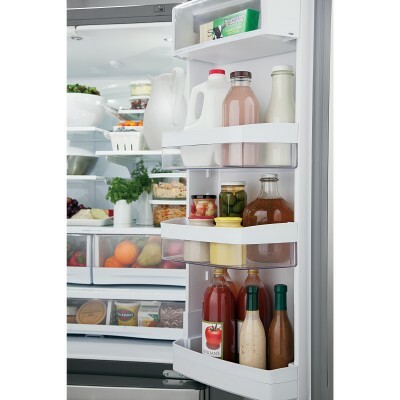 Most refrigerators have shelves on the top and drawers on the bottom. While most people place their fresh fruit and vegetables in the drawers, you may consider placing fruit and vegetables in baskets on the shelves. Placing produce items on the shelves will make fruit and vegetable choices eye level. You’ll have an easier time picking the right food if it’s the most accessible. Likewise, place packaged foods in the drawers. Your family will remember their favorite packaged foods are there, and they’ll just have to take the extra step of opening the drawer to get the less healthy options. Healthy eating is an important factor for your overall health. If you’re looking to implement natural ways to improve your overall health, contact us today for a consultation.